Wine Country On Fire - Is It Terrorism? 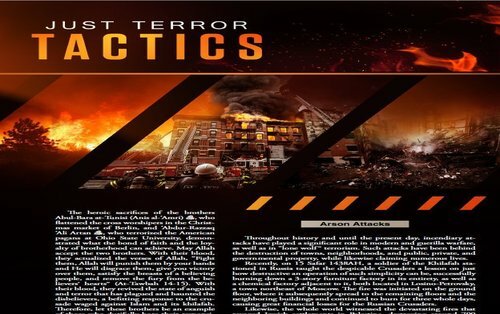 Back in 2012, Al Qaeda magazine 'Inspire' published a story instructing their legion of followers how to 'unleash hell' upon America, describing in detail how to make 'ember bombs'. 'It is of your Freedom to Ignite a Firebomb' they titled their story while encouraging terrorist-wannabe's to target Montana because of the rapid population growth in its wooded areas. With screams of terror now raining down on 'wine country' in California as a huge cluster of devastating wildfires have killed at least 15 people and destroyed more than 2,000 homes, businesses and other buildings as the fires rage totally out of control as we see in several videos below, the first video is a must-listen as radio talk show host Michael Savage takes calls directly from people living in California and suffering through the smoke and flames. And as we hear, more than one caller suspects terrorism as the root cause for these fires which sprung up so suddenly and violently and in so many different locations seemingly at once, thoughts echoed by several different commenters on several different ANP stories who feel that something very strange is going on with all of these fires. As this 2012 Daily Mail story on ISIS's plans to launch fire bombs across America reports, an unsubstantiated claim within the 'Inspire' story claimed forest fires in Australia back in December of 2002 allegedly unleashed a heat energy equal to that of 23 nuclear bombs and the terrorist magazine was asking their followers to unleash the same destructive force upon America, calling arson attacks 'just terror tactics'. And while we're unable to prove that 'foul play' is the cause of the devastation in California, we remind you that in Viktor Suverov's book, "Spetsnaz First World War", the intentional setting of forest fires is one tactic of what is known as 'grey terror', fires that are deliberately set to advance a political agenda. 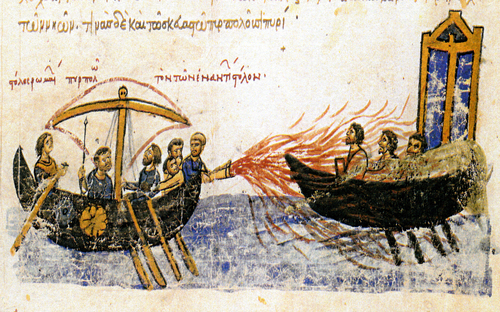 As Wildfire Today reported back in 2012 in a story about ISIS's threats to use fire as a weapon, the history of fire as a tool of warfare is well-documented: Native Americans used fire against their enemies, both other tribes and the expanding Europeans; the Aboriginal people of Australia used fire to discourage the incursion of the British settlers onto their island. In World War II, the ]apanese launched “fire balloons” against the western United States. While largely unsuccessful, they started a few fires and killed six people in Oregon. The Palestinians in the latter half of the 20th century used fire to try to destroy Israel’s carefully planted pine plantations. Now, as more and more folks are moving into the wildland-urban interface, the danger of fire as a weapon is even greater. Even under the best of circumstances – when a single ignition occurs under critical fire conditions – hundreds and thousands of citizens are threatened with entrapment, injury or death from rapidly spreading fires. Imagine if a small band of determined terrorists, with only some basic fire weather knowledge and fire behavior training decided to set multiple ignitions in some of our most vulnerable areas like heavily populated valley bottoms with limited egress/acceass and a heavy, dry fuel loading at the peak of the burning period? There are many such areas around the world: in the foothills of Andalusia in Spain; outside of Sydney and Melbourne, Australia, and in numerous areas of the United States from Florida to the Pine Barrens of New York to the foothills surrounding Los Angeles. Even my own hometown of Missoula, Montana has areas that fit all the above criteria, and is surely at risk under the wrong combination of weather conditions and a committed terrorist with fire on the brain. As we read in this entry on 'thermal weapons' from Wikipedia, using fire as a weapon goes back at least as far as the 8th century in which heat or burning actions were used to destroy or damage enemy personnel, fortifications or territories. And might these fires have somehow been tied to geoengineering as we read in this story from Dr. Steven Amato over at Health Nut News as we also hear in the 2nd video below? From that story. Aluminum is a powerful conductor of electricity and heat. Because it’s lighter than copper, it is often used in aircraft to cut down on weight. Electrical contractors use aluminum wire as a substitute for copper because of its lower cost per foot. Remember, nano-sized particles contained in the aerosols are an infinitesimally fine dust. They are a metal, and they do coat the leaves, the duff below the tree canopy and fuel sources on the ground. When this dust ignites, which it does because it is not in its dense form, an un-natural, tremendous quantity of heat is generated. Coupled with the extreme dryness caused by bad actors engineering our drought, and you have the ingredients for catastrophic destructive forces. One would not be going out on a limb by characterizing the unfolding events as a false flag, having been consciously (or unconsciously) engineered ahead of time. If the pseudoscientific thinking behind the geo-engineering were truly scientific, they would have factored ignition effects of aluminum into the equation before deciding to move forward with their plans to drought the state using aluminum, barium and strontium, known desiccants with powerful drying properties. 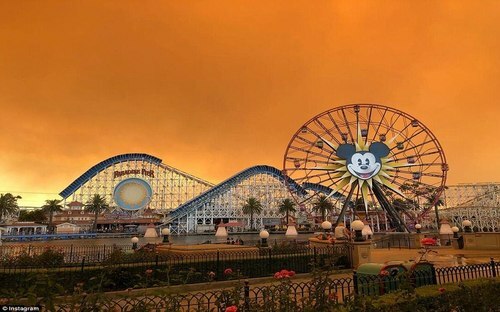 With the fires leaving an apocalyptic, orange glow over Disneyland as seen in the amazing photographs in this Daily Mail story as also seen in the photograph above, in the final video below we see a suspected arsonist running away from a 2016 fire in California that he had allegedly just set, proving how much damage one person can do with such a 'weapon'. With ISIS' previous threats and "Bolshevik Revolution 2.0: America Rebooted" completely underway in this country, is it too difficult to believe that the fires now devastating California could have been intentionally set? The story over at Wildfire Today concluded with some great advice that we'll echo here: be prepared and vigilant. Wildfire threats and terrorist threats cross borders and require us all to be prepared and vigilant. Training and communicating with fellow firefighters, regardless of agency or country, is always worthwhile in improving our capabilities in both arenas. This is a cornerstone for the work IAWF does.